We are here to help you during the preparation of your ceremony : we suggest you ideas, we help you to find venues and other services you would want, according to your wishes, that aimed to celebrate your union through a very personal ceremony that matches you. The symbolic ceremony allows you to concretize your love in front of your loved ones. If you want to create wether a very romantic atmosphere or a funny ceremony, we can help you to design it. 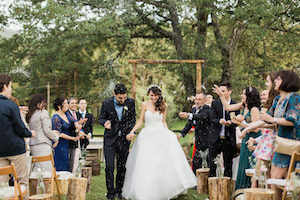 Since it doesn’t have any religious or legal status, you can design a very personal event ! Please do not hesitate to contact us to receive our online services book to know more about our services and prices.